When you use a computer nowadays, chances are you login to your account or a guest account to do it. Whether you’re at home or at work, utilizing multiple logins give everyone their own space on a PC. In Windows 8, the last account that was logged in is the one that you will be prompted to login to upon a restart. While this may not seem like a big deal, if you don’t use a password, this can cause issues if your account is auto-logged on by someone else. 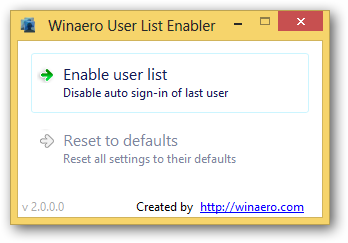 The Winaero User List Enabler tool is easy to use and quickly changes the registry to stop the auto-login feature in Windows 8. We show you how to use it. Download the Winaero User List Enabler here. It will download as an archive, so you’ll need to unzip it. The Winaero User List Enable doesn’t need to be installed. It’s also a portable tool, so you can bring it with you if necessary to disable or enable the service on multiple Windows 8 PCs. Double-click the right version of the Winaero User List Enabler based on your version of Windows 8. It’s compatible with x64 and x86 versions of Windows 8. Welcome to the Winaero User List Enabler. This will turn off auto-login. Basically, this tool alters your registry so you don’t have to hunt down the pesky entry to do it yourself. For most users, this is the better alternative than editing the registry in Windows 8 manually. If you want to turn auto-login back on, all you have to do is open the tool once more and click Reset to defaults. These changes will stay in place until you turn them on or off, no matter what PC you’re using. 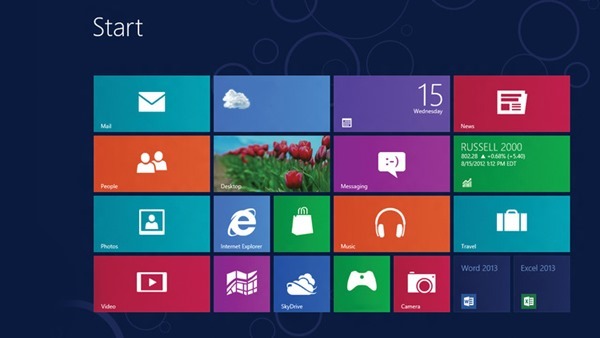 Is it important to turn off auto-login in Windows 8? If you don’t user a password in Windows 8 to logon to your PC and you have multiple users on a computer, you need to disable auto-login in Windows 8 to truly protect yourself. Unless you want someone to have access to your files, pictures and more, either password protect your account or turn off auto-login. While turning off auto-login isn’t foolproof is someone wants to see what you’re doing on a computer, it eliminates the temptation of being logged into your account automatically. 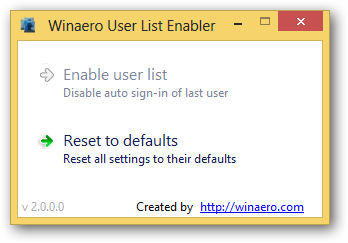 Download Winaero User List Enabler.